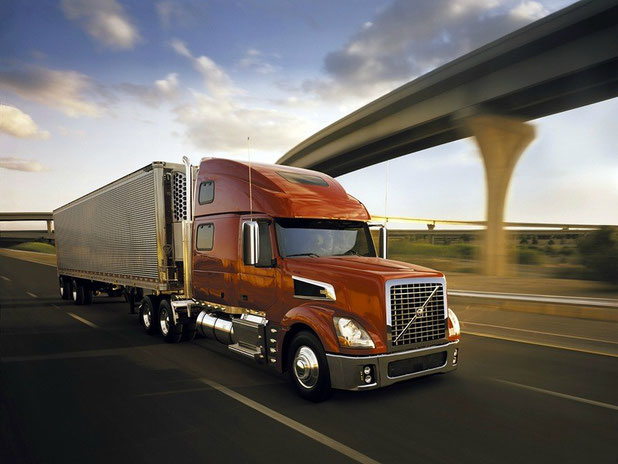 How can an owner-operator get the best possible deal on trucking insurance? There are a lot of reasons why it is hard for an owner operator to get the best deal possible on his truck insurance. An owner operator is one of the busiest business people on the planet earth. This is an individual who has all of the usual personal or family issues and problems confronting everybody in this chaotic modern world, compounded by the fact that he's usually someplace else and not at home to deal with the situation. On top of all that our owner operator is a businessman who is responsible for the maintenance and operation of a very expensive, large and complicated machine. Add on top the distractions you might have in your mind about numerous trucking industry questions and that are always coming down the road at you like: your motor carrier’s rules, electronic logging devices (ELD), Hours of Service, overnight truck parking, cost of fuel, CSA, traffic and construction causing congestion of the roadways ... The owner-operator always has a lot on their mind. And there you have it: the owner-operator is an extremely busy person dealing with more challenges than most people have any idea about. So, obviously, owner operators are very busy people dealing with a large number of problems and distractions and sometimes this makes buying truck insurance a total pain in the neck because you just don’t feel like you really have the proper amount of time necessary to spend on this expensive and critically important aspect of running your owner-operator trucking business. Because that is clearly what it is. A trucking business. Even if some people can't quite see it that way the fact is an owner operator is an entrepreneur running a complex business! Another obvious reason why it can be very difficult for an owner operator to get the best possible deal on his truck insurance is because he is a single individual buying insurance for only one semi truck (or a small number of semi trucks) versus the fleet owner who is buying insurance for 100 or 1000 semi trucks. Since the owner operator does not have the benefit of volume buying it is much harder for him to negotiate with the insurance company for the best possible rates. So then how does an owner operator get the best deal possible for his semi truck insurance? It's pretty simple really. My mother always used to say “If you don't know your jewels, know your jeweler”. The same holds true for owner operators buying trucking insurance. Whether it's non-trucking liability (sometimes referred to as “bobtail”); automobile physical damage (pays for repairs for the truck after an accident – I know, it should be called TRUCKING physical damage! ), occupational accident insurance, or one of the other kinds of insurance coverage that truckers need from time to time, the answer is the same: Know your jeweler. You need to be dealing with the right agent and you will get the best possible deal. But how do you know? So how DO you know you have the right trucking insurance agent to get you the best deal on your semi truck insurance? Now pay attention. This is the most important work you can do in the entire process. Your agent will make you or break you. That is the truth. So here's what you do: Ask the smartest people you know for their advice. Ask the smartest people you know - who seem to be the most successful in business - for their advice. Successful people are usually happy to help others out. So go right up to the best damn owner operator you know (maybe you are even a little jealous because their truck is newer and they always seem to be one step ahead) but ask them for a favor, ask them who they buy their insurance from. There might be some real good reasons for their success. One of those reasons might be that they’ve got the best darn commercial trucking insurance agent in the business getting them the best semi truck insurance deal possible. Ask your motor carrier, ask your truck dealer, and of course, you will do some internet research yourself. There's a lot of interesting and probably inaccurate information out there on the internet as we all know. But if you spend a little bit of time trying to separate the wheat from the chaff you should be able to get a good idea who the professional agents are. Here’s a really important and maybe weird-sounding bit of advice. There are only so many good agents, and there are only so many insurance companies out there. You need to be selective in who you have working for you. You only need one agent if he's the right one. And just two - or possibly three - is plenty. You don't want to become known as THAT GUY that has everybody under the sun working on his insurance because eventually nobody will want to work for you. All the agents have access to mostly all the same insurance companies, so select your agent wisely, let them know you appreciate the hard work they are putting in for you (and yes, it’s harder than it seems). You will get the best deal on semi-truck insurance when the best insurance agent is working as hard as they can for you. That happens when you show them the same respect and appreciation you expect when you are doing your job, and doing it right.